did u know like everyday is a holiday or somekinda day of recognition or observance? yep, it is! calendars and sites like https://www.checkiday.com are very helpful in reminding what holiday it is. like there was World Frog Day recently (March 20th) and it was Peanut Butter and Jelly Day just the other day (April 2nd). and guess what today, April 4th is? it's a day to celebrate our little furry friends and our Squamata pals fav foods. that's right, it's World Rat Day! "holidays" are fun, even if we don't get the day off work. anyways imma use this thread to bamp random holidays that i find fun and interesting. join me in the holiday festivities! Today is also national burrito day. It is indeed. I just got out of work, and since one of our restaurants is a burrito joint, I couldn't say no. I had a beast of a barbacoa (braised beef) burrito. I threw some brown rice, pinto beans, queso, roasted peppers and onions, spinach, corn salsa and guac in spinach wrap. Soooooooo not helping with my "diet" (I'm just trying to eat better, not really "dieting"), but I've lost over 30 lbs since January and it was NATIONAL burrito day. So I had to. Last edited by Craiga 01453; 04-04-2019 at 06:19 PM. Thanks, I blew up over the course of about 2 years. I hit 250 lbs and turned 40 right around the same time, and something just clicked. I'm 5'8" and was 180 two years ago. I'm no puppy dog anymore. It was time to start taking better care of myself. So I changed the way I snack. Instead of cookies, chips, Doritos and ice cream I eat fruit. I'm on a hummus kick too. And as far as meals, I've just been a bit better, nothing strict, just not so much crap for dinner. I have a smoothie in the morning and I've been walking since winter is behind us. I already feel so much better. I'm hoping to get back under 200. That’s awesome.. keep it up! how about Hot Burrito #1 by The Flying Burrito Brothers to celebrate?! so awesome! keep it up. you're gonna look like absolutely fabulous in a tux or hoodie! Last edited by Ax01; 04-04-2019 at 07:31 PM. Interesting holidays for my birthday. 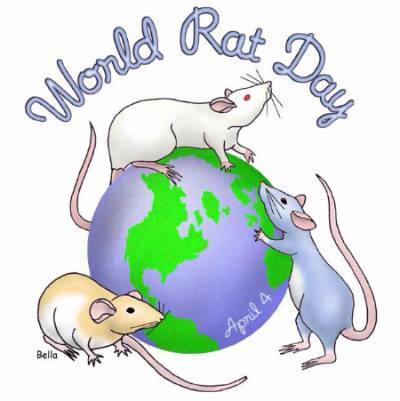 cheers to World Rat Day! do not fret on the burritos. mark your calendar for next year or Cinco De Mayo is just a month away or don't wait at all! indeed! 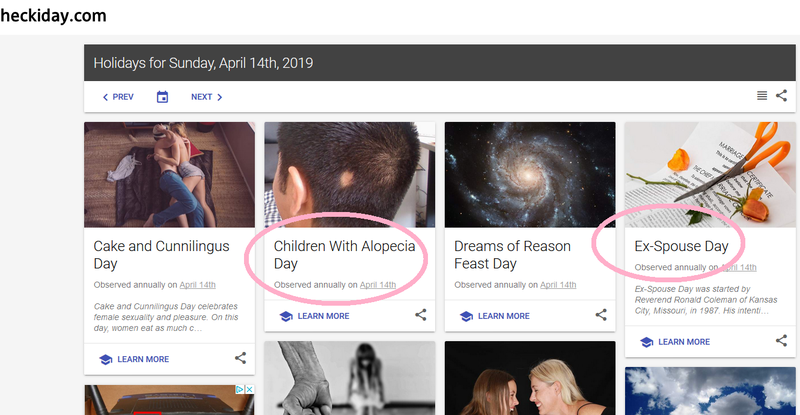 i could understand a day for raising awareness for kids w/ Alopecia but whatsup w/ Ex-Spouses Day. eewww!